These compact radar modules facilitate rapid integration of real-time radar into automotive applications. 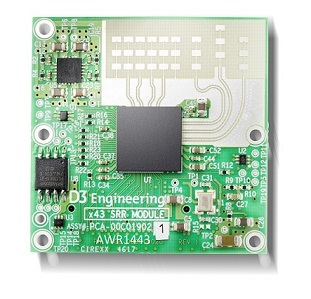 Features include small form factor module (38mm x 38mm), simple interface, easy integration into embedded systems, and customized solutions and support. Use for evaluation or in production systems. Learn more about product development with D3. Available starting at quantity of 100. Contact D3. Read the DesignCore Radar Modules Fact Sheet for additional information and product specifications.